Bourbon: When Will the Bubble Burst? A recent story on drinksbusiness.com proclaimed that bourbon was enjoying a “historic renaissance,” and detailed the boom: In Kentucky, the industry is now worth $8.5 billion annually; sales have increased by $3 billion per year since 2008, and no end appears to be in sight. Sound familiar? If you’re old enough, you remember a time when brown spirits dominated the beverage market. When I was growing up, few people drank wine or vodka. 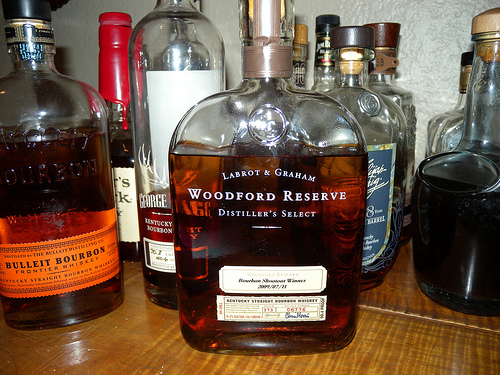 Bourbon, Scotch and Canadian whiskey were the tipples of choice. In the 1980’s, the situation suddenly reversed. The wine revolution hit America, and brown spirits were regarded as uncool---your father’s drink. To make matters worse, the popularity of vodka reached unprecedented heights, with Absolut and Grey Goose capturing the imagination of consumers. “If you look at the history of the industry, we’ve shot ourselves in the foot so many times that we’re lucky to be here,” declared Max Shapira, president of Heaven Hill distillery. The year was 2011. I was in Bardstown, Kentucky, interviewing him for my first book, Iconic Spirits: An Intoxicating History. Shapira was remarkably sanguine, despite the fact that consumer whims had nearly destroyed his family’s business a number of times. But then a curious thing happened. Distillers were getting a lot of requests for a high-end product from the Japanese market. Gift-giving is a very important part of the Japanese business culture. While executives loved bourbon, there was no equivalent to an X.O. Cognac or a single malt Scotch with which to impress their associates. The guys in Kentucky had always known that there were superior barrels, and they knew the precise location of those barrels, but they had never thought to isolate them---they simply mixed everything together and called it a day. The first single barrel release was Blanton’s, crafted by Buffalo Trace in 1984. Jim Beam followed suit with The Small Batch Collection. As the pendulum gradually swung back toward brown spirits, consumers who wanted to purchase a status symbol found a target-rich environment in the bourbon market. When the boom in the American cocktail culture occurred in the late 1990s, mixologists were looking for flavor above all. They leaned heavily toward bourbon, rye and scotch in their drink repertoire, and the new gold rush was on. Today the Kentucky distilleries are partying like it’s fifty years ago, and you can hardly blame them: demand is so intense that they can barely keep up with it. Even better, that demand is on the high end of the scale. According to the U.S. Distilled Spirits Council, sales of bourbon below $15 have increased 13% over the past five years, while the super-premium category has surged 97.5%. The boom has kicked off a tsunami of investment. 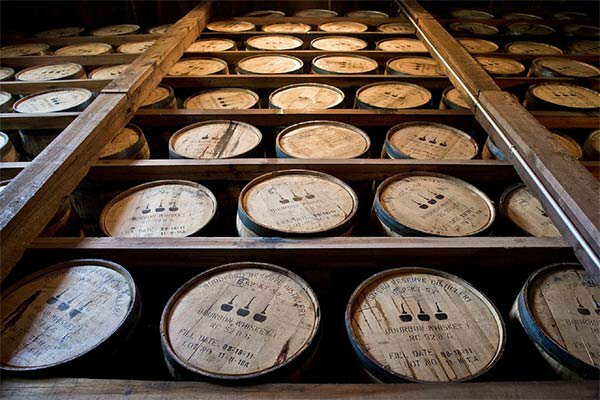 Brown-Forman is putting $100 million into the expansion of Jack Daniels, and another $60 million into a new barrel-making factory in Alabama (they already own one in Kentucky). Given the unprecedented wave of prosperity, you could forgive them for thinking it will go on forever. Yet we all know that the universe is cyclical, and that an end to the good times is coming sooner or later. An unforeseen trend will appear on the horizon, and Americans will suddenly want to drink something other than brown spirits. On that day, the impact on Kentucky will be significant and perhaps catastrophic, largely because of the very nature of whiskey production. Vodka still claims a significant market share in the national spirits market, but vodka is different. It can be manufactured one day and sold the next. Supply can be easily adjusted to fit demand. There is a one-time investment in equipment, and no significant expenses after that (except for marketing and production, of course). Whiskey, on the other hand, is different. It requires aging in barrel for anywhere from two to ten years prior to release. Those barrels are expensive and labor-intensive. A whiskey producer needs a crystal ball to look six years into the future, to anticipate how much product the public will want and adjust his output accordingly. The strain of keeping up with demand is already starting to show. Some distillers are eliminating age statements from their labels, which allows them to blend younger whiskey into the bottles. Several years ago, in an attempt to stretch supply, Maker’s Mark announced it was reducing their benchmark bourbon from 90 to 84 proof. The public response was so loud and outraged that the company immediately reversed their decision. When the downturn hits, the biggest casualties will doubtless be the craft distillers. The growth in that sector has been unprecedented, from 50 U.S. craft distillers in 2005 to more than 1,000 today. These startups follow a familiar pattern. They begin by making vodka, which they can sell for cash flow, and gradually shift to whiskey as their finances permit. While many have been boosted by the strength of the locavore movement, most are mom-and-pop operations rather than huge and well-capitalized public companies. If the bubble bursts, they will be the first to go. At that moment, the distillers on the Kentucky Bourbon Trail will be hoping that they’ve become too big to fail. 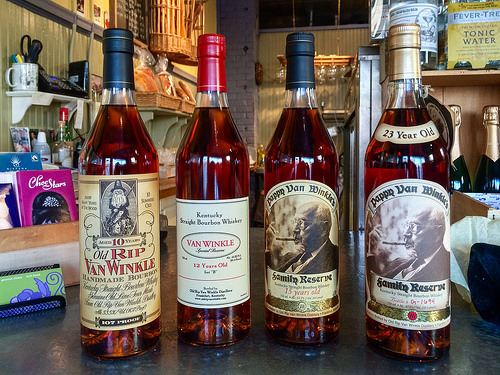 Do you think the bourbon industry is heading for a collapse? How do you feel about this article? share your comments and insights with the community!